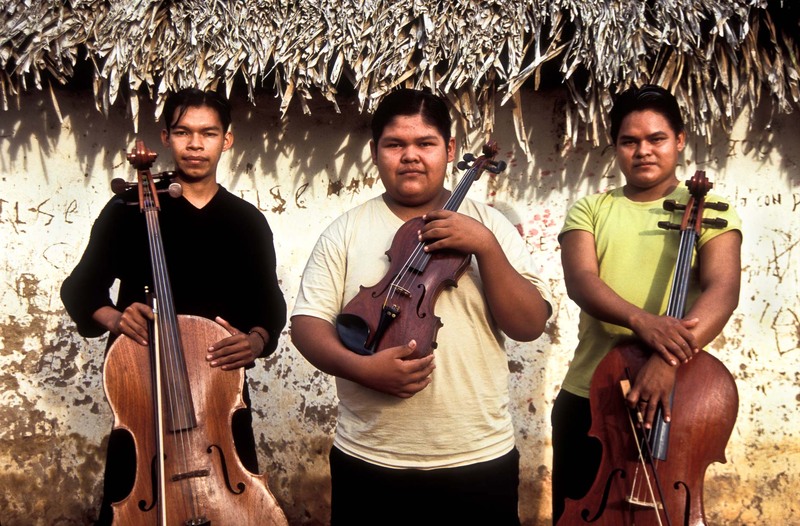 Dionicio(20), Simon (15) and Juan Carlos(23) Aguape are the most talented family group of musicians in the village. Dionicio, played his cello in a private audience to Pope John Paul II in the Vatican in 2003. Simon took up the violin 5 years ago, practices 4 hours /day, previously he played the trumpet and French Horn, self taught on classical guitar, Urubicha, Bolivia.